Skype for Ubuntu…available in Beta mode! Super exciting news for the Ubuntu and Linux community! 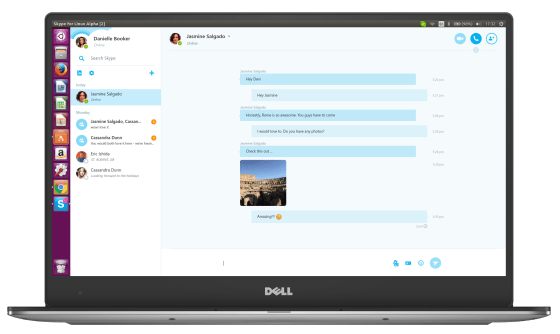 News has just been announced that the Beta version of a new Skype for Linux has been launched! A brand new WebRTC version of Skype for Linux will be available from today which will allow continued support for the Ubuntu users for years to come. Skype for Linux Beta is not a fully functioning Skype client yet but will be with users soon. It’s pretty different to the old Skype for Linux you use today as the UI is faster and more responsive plus you can share files, photos and videos, and even send a whole new range of new emoticons! Download the app here. The Beta version of Skype for Linux uses the next generation of calling architecture, which allows you to call your friends and family on the latest versions of Skype on Windows, Mac, iOS and Android. 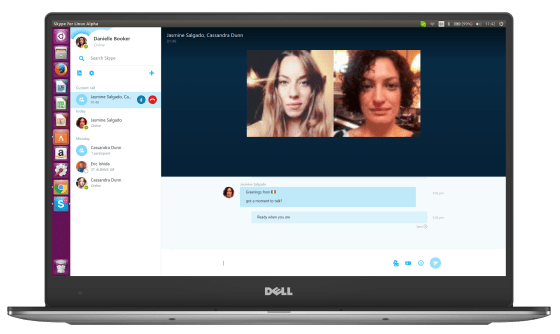 The updated Beta add Calls to mobiles and landlines with Skype credit, one-to-one video calls can be made from Ubuntu to Skype users the latest versions of Skype for Android, iOS, Windows, and Mac. Ubuntu users can now view shared screens from other Skype desktop clients (Windows 7.33 and above, Mac 7.46 and above) and Unity launcher now shows the number of unread conversations, online contacts in contact list now include Away and Do Not Disturb statuses. However, you won’t be able to make or receive calls to and from the previous versions of Skype for Linux (4.3.0.37). We’re thrilled by this news as Skype reaches over 300 million users around the world! Today’s news shows the strength and importance of the Linux desktop and also Ubuntu as the main player in this field, with 80% share in the Linux desktop market. Head over to Skype’s Community page to find out more here.